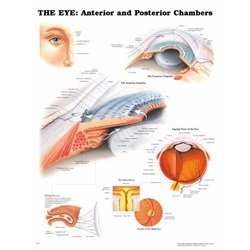 Anterior and Posterior Eye Diagram - 20" x 26"
"The Eye: Anterior & Posterior Chambers" is a laminated eye diagram poster. 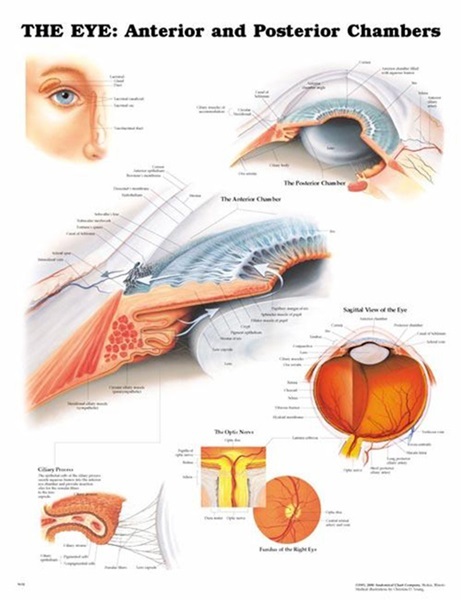 The clearly labeled chart helps to explain various parts of the anterior and posterior chambers in the eye. Single sided and full color. Wall mount. Measures 20" x 26". Comes as singles.